In the previous two parts, I talked about how FotoFest began and how their finances worked. This time around, I want to discuss a variety of adds and ends that didn't quite fit into the previous posts, including one of the most interesting aspects of FotoFest, the participating galleries. But first, as we talked, I started wondering why they had never built a photography museum. Over the years, they had had venue problems. For a while, they were in the Brown Convention Center, which in addition to being charmless is also really expensive for an event of this duration (Brown is fine for weekend conventions, but to rent part of for six weeks is very costly). But it had the advantage of putting all the exhibits in one place. Some of the places they display are not ideal (Winter Street Studios, for example). If they had a museum building, they Biennial would have a home every other year. And they do have a collection of prints, which could form the basis for a permanent museum collection. "It's a wonderful idea but it's just not our way of doing things," Fred Baldwin explained. "This ship does not stop." When you look at FotoFest from the inside, perhaps the most important part of it is the Meeting Place--the gigantic gathering of photographers and photography professionals that meet for critiques and to make contacts. This was one of the things about the Arles Festival that appealed strongly to Baldwin and Watriss, and one that were determined to create here. 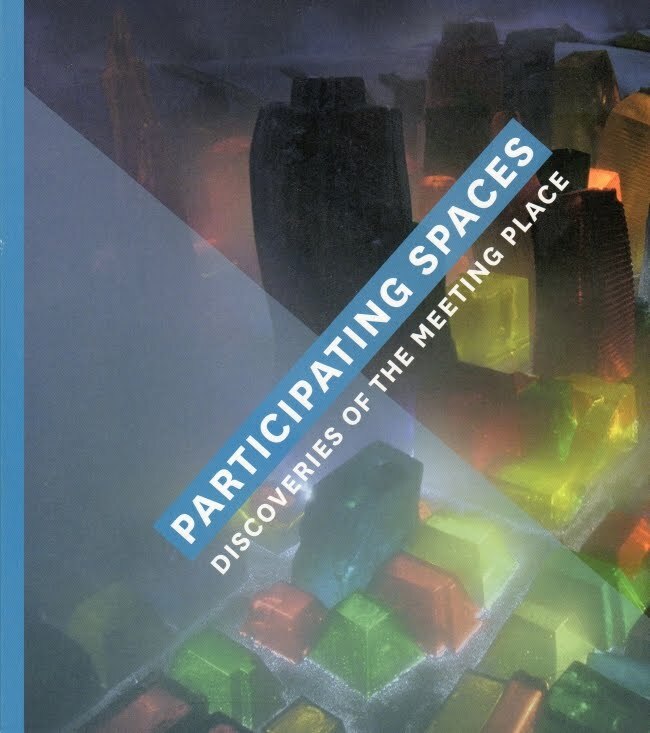 (By the way, visualseen has a really great first-hand piece about this year's Meeting Place, written by one of the portfolio reviewers, Tracy Xavia Karner.) But for the general public, the Meeting Place is invisible. What we see are the six official FotoFest exhibits and, in this most recent biennial, the 113 (!) participating exhibits. Pretty much every gallery in town is a participating space. In addition, most museums and non-profit galleries participate. And finally, a lot of places that you don't usually associate with art exhibits are participating spaces. The primary requirement to be a participating space is that you are serious about it--you can't be a restaurant and hang five photos and be a participating space. "I'm not sure we've ever refused anybody [who asked to be a participating space]," Baldwin said. "On the other hand, we don't encourage every restaurant to become a FotoFest exhibition." But the weird thing is that FotoFest is not involved in the curating of the non-FotoFest exhibitions. (I guess with 113 of them, it would be impossible). What the exhibitors get is identification (signage and those FotoFest posts you see around town), listing on the website, and for a price, inclusion in the catalog. It seems like there is a real risk of damaging the brand if the participating spaces put up really bad shows (and with 113 of them, they can't all be good). The risk of bad, even embarrassing shows from the participating spaces would keep me up at night. But I think two things are happening that mitigate this risk. First, FotoFest has established itself well, and the spaces that participate work hard to live up to the FotoFest reputation. (Competition probably pushes them to do a good job as well.) Second, even if there are bad shows, in the end people remember the really good ones. 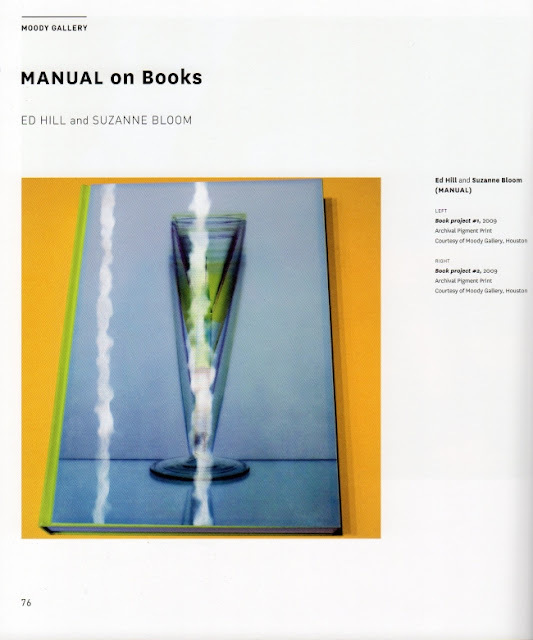 For example, this beautiful MANUAL show at Moody Gallery. Still, from my point of view, there is risk of brand damage. FotoFest has always thrived on risk, as we have seen. And the participating spaces make FotoFest feel HUGE without demanding much in the way of resources from the FotoFest organzation. The diversity (both in type of venue and location) helps make FotoFest more accessible to the public--and that, I'm guessing, has a more positive impact on the FotoFest brand than any occasional bad exhibit would have as a negative impact.